Terms: For new players only. Make your first deposit and get a 100% bonus up to £/€/CHF 222, $333, 2,222 kr, R2,222 or 22,222 rupee bonus! 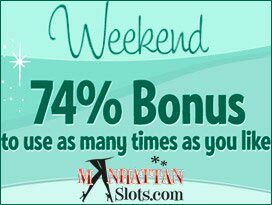 Once received, free spins are valid for 3 days. The bonus balance will be converted to real money as soon as the wagering requirement is met. It is allowed to make additional deposits to complete the wagering requirements. The welcome bonus is not available for players who use Skrill or Neteller. Have you seen that letter-man running on your home page? Yako Casino pleases me with its design and reliable licenses. Besides, it’s always great to see the serious attitude of a virtual gambling house. I’m speaking not only about the set of promotion (though, it’s really impressive), but also about active customer support service, readiness to provide a detailed description of any item and a wide range of banking methods. The thing is that you can become an owner of both No Deposit and Deposit Bonuses. The only point missing is your registration. As soon as you create a new account and entitle yourself as a real money player, you can count on 10 Free Spins on Starburst, Aloha, Pyramid or Joker Pro. This promo is credited on your participation basis only. Yet, the amount is not so big and you should think about your further steps. That is how I want to lead you to making deposits 😉 Ha-ha! Do not get afraid, all you need to do is to transfer $/£/€/CHF 10 as a minimum sum and wait for 100% up to €222/$333 to get credited for your first input. Doubling your balance is a matter of several moments. How can one miss such a brilliant chance for such a tiny investment? 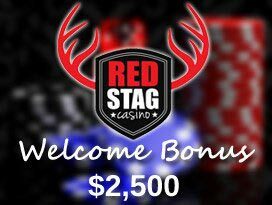 Before you even turn to observing other casino bonuses, mind that the package is not over and there is something more to surprise slot lovers. Yeah, what would you say when getting 222 Free Spins? This is the second part of your deposit bonus, which gives you an opportunity to relish Starburst slots and catch winning combinations without placing any bets. Dreams come true, you know. Though, Canadian players get a bit different conditions. They’re offered to play Lightning Hot machine by Amatic. The odds end here, cause speaking about wagering, it’s equal for everyone. You’ve to win back both cash and spins 40 times. So, getting €10, the total play-through makes €10 * 40x = €400. The same is with the winnings caught during Free Spins. So, be ready for a repayment.